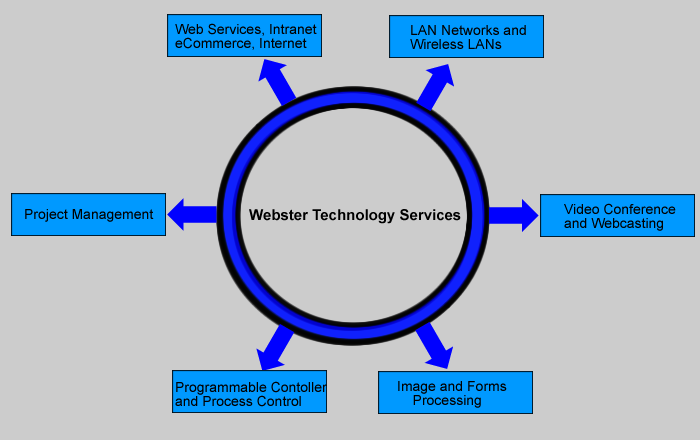 Webster Technology Services Inc. is a consulting firm which is oriented to the Small to Mid Size Market. Its strength is based on deep knowledge and extensive experience over a broad range and across multiple disciplines of engineering and technical fields. We seek to recommend and implement the solution that is most appropriate for the particular situation at hand. Note: Parts of this page might be under construction.